Ed Neely and Steve Stirrett. WHAT IS THE DOHENY STATE BEACH INTERPRETIVE ASSOCIATION? Doheny State Beach Interpretive Association (DSBIA) is the non-profit cooperating association of Doheny State Beach dedicated to the protection of the park’s beaches, facilities, marine refuge and historical and cultural stories. These challenges are met through DSBIA’s fundraising efforts and active support of the park’s educational, interpretive, conservation and restoration programs. DSBIA was established in 1982, and is one of the oldest cooperating associations in the California State Parks System. THE VISITOR CENTER: DSBIA teamed with California State Parks in renovating and upgrading the Visitor Center (VC) following great damage to the building in 2007. Today, the VC contains the largest public aquarium in the California State Park System with a tide pool tank and 5 other aquarium tanks containing local species from the various ocean habitats off the Doheny coastline, displays of birds and mammals, a park gift store, and ranger offices. The VC is open to the public 7 days a week between 10 AM and 4 PM and is staffed with DSBIA volunteer docents. Free programs for schools and other groups are available upon request, and a field trip transportation grant is available to schools (see below). DSBIA continues to support both the building and care of the animals inside the facility. THE WHALE WALK: Once upon a time, life-sized paintings of the whales found off our coastline graced the beach front promenade of the park. 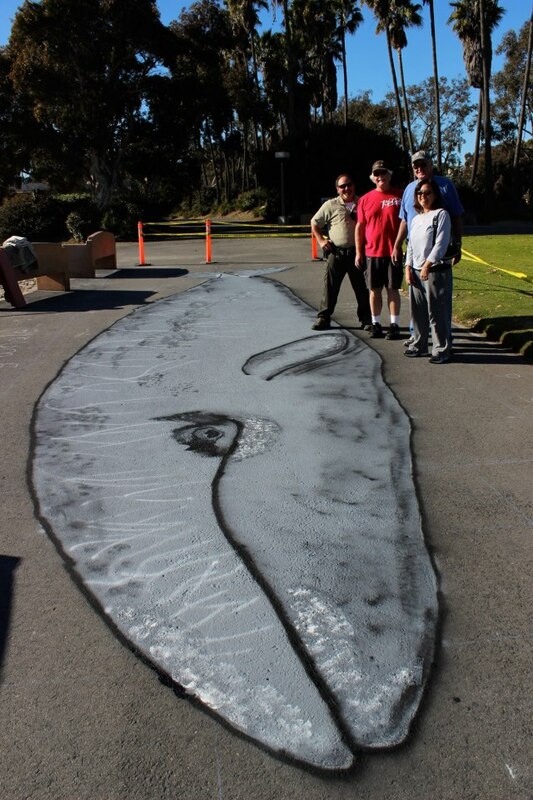 Time and asphalt repairs took their toll on our cetaceans and they faded away. DSBIA has brought back the Whale Walk! We’ve already painted a humpback, a mother gray with her baby, an orca, a blue whale (largest animal ever on earth), a minke, a sperm whale and a fin whale (second largest whale, known as the grey hound of the sea). 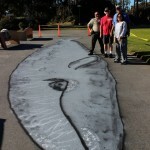 We have plans to expand the Doheny Whale Walk with more whales and rowdy dolphins! ENVIRONMENTAL STUDIES SENIOR SCHOLARSHIPS: DSBIA awards up to three (3) scholarships to graduating seniors from Dana Hills High School who will be attending an accredited 2 or 4 year college or university in the fall following their senior year of high school with plans to pursue environmental studies and issues relevant to the preservation and protection of the California State Parks, their natural and cultural resources, and the mission of the Doheny State Beach Interpretive Association. Scholarship applications may be obtained from the high school guidance councilor in January of the current school year. SUPPORT OF THE PARK’S ENVIRONMENTAL AND INTERPRETIVE PROGRAMS: DSBIA provides financial support for the Park’s Junior Ranger Summer program open to park visitors and the local community, and to the Lifeguards’ Junior Lifeguard Waterman Academy. DSBIA members assist the Park’s summer campfire program with members offering evening presentations. DSBIA supports the park’s four annual beach clean-ups. DSBIA supports restoration and replanting of native plants and trees in the park. DSBIA took a leadership role in winning a $10,000 Odwalla grant for new trees in the park. 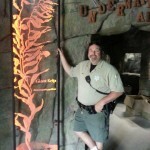 DSBIA provides financial support to park rangers and staff for interpretive professional development activities. BECOME A MEMBER: DSBIA invites you to join us in our support of Doheny State Beach with Individual or Family, Annual or Lifetime memberships; or join us though our Student, senior or Organization memberships. Members receive a 20% discount on items in our gift shop (located in the Visitor Center), invitations to special DSBIA events (including our annual Members Wild Life Cruise and our Members Barbecue), and our monthly e-newsletter (The Doheny UPDATE). Here is a link to our membership form. Please print it out, fill it in and mail it to us at the address on the form. You may also stop in at our gift shop, located in the Visitor Center at the parks entrance. Our camp volunteers and docents will be happy to accept it! Family and Small Group Donations. DSBIA offers families and small groups the opportunity to support our park beyond membership through our “Family / Small Group Donations.” Donors at the Garibaldi and Sea Lion levels may donate to specific programs or to support all the DSBIA projects and programs. 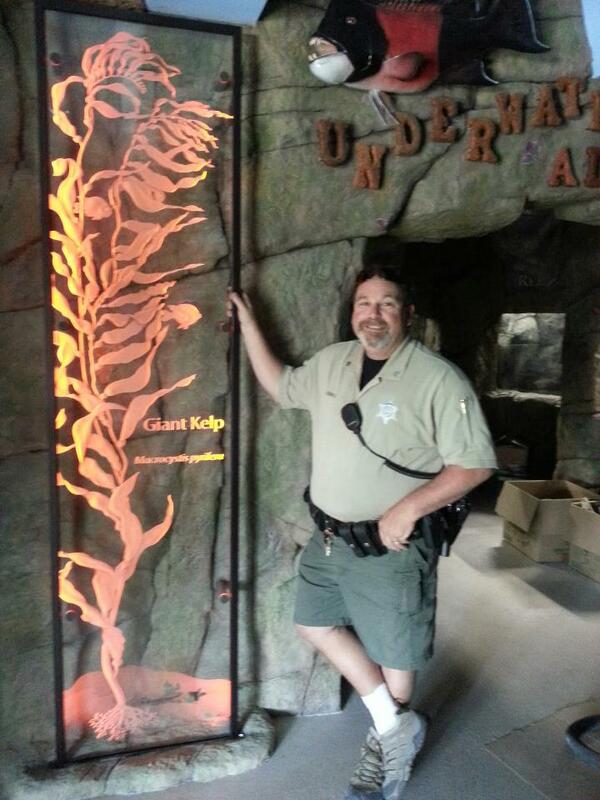 Donations at the Sea Star level and above will receive $$ credit for purchases in the Visitor Center Store. All donations are tax deductible. Donations may be mailed to DSBIA / 25300 Dana Point Harbor Drive / Dana Point, CA 92629. Email inquiries to Ed Neely at info@dohenystatebeach.org. $500 Sea Lion $25 credit in the Doheny Gift Store.